After a scrumptious Thanksgiving Thursday, a hectic day of sales on Black Friday (or did you #OptOutside thanks to R.E.I.? ), and some internet shopping on Cyber Monday… it is time to Give Back! Started in 2012, Giving Tuesday was created as a set time to plan a donation back to the community. Whether by donating time, money, resources, or goods, Giving Tuesday is a special day in the busy holiday season to take time for those around you. Don’t have time? Donate money to your favorite charity. Don’t have money? Donate your time or services to a neighbor or community organization in need. Don’t have time or money? Make a pledge TODAY to give back in 2019. Pay it forward, and let us know how you plan to give back this Tuesday! This year our feature for Giving Tuesday is one that the #DogsOfUpTheCreekFarms would gladly give a rating of Two Paws Up! Max, Parker, and Murphy are the furry residents of Up the Creek Farms, and are loved by everyone that visits. You often can see these three patrolling the grounds in the morning checking for hungover squirrels, or alerting the crew of leftover morsels of wedding cake on boathouse floor after a wedding reception. 😉 Such helpers! 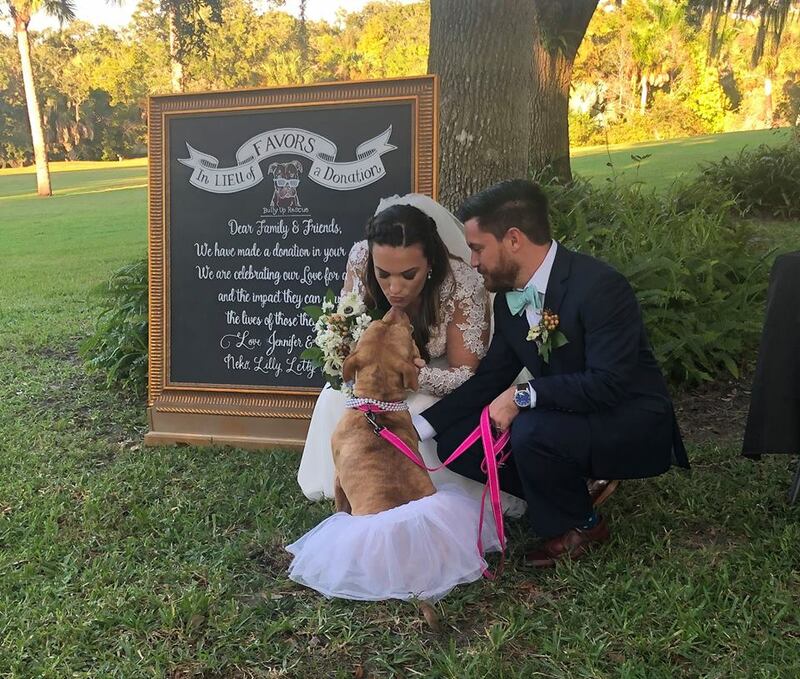 They were very excited to hear that at Jenn & Brian’s 11/17/18 wedding day, there would be dogs on the guest list. 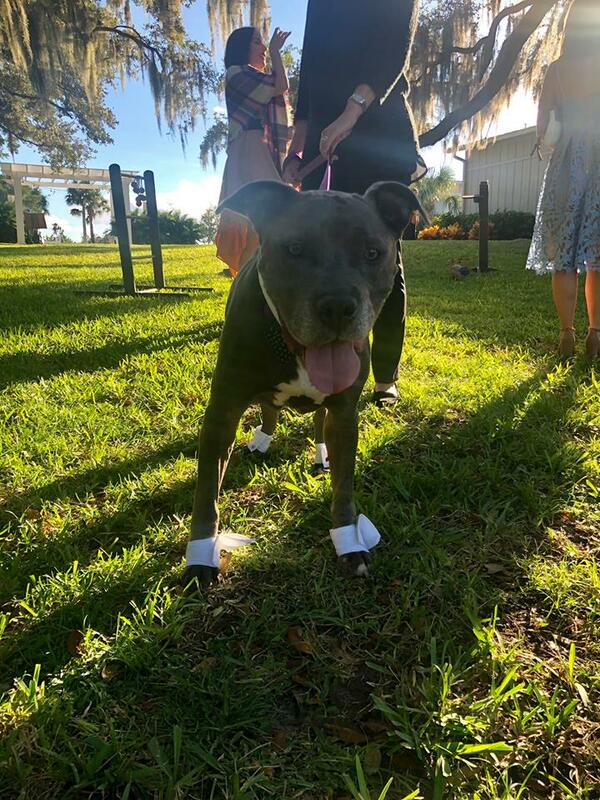 During Jenn & Brian’s wedding day cocktail hour, we had 2 four-legged V.I.P. guests attend. Sol and Murphy, both adoptable seniors from Bully Up Rescue, were decked to the nines. 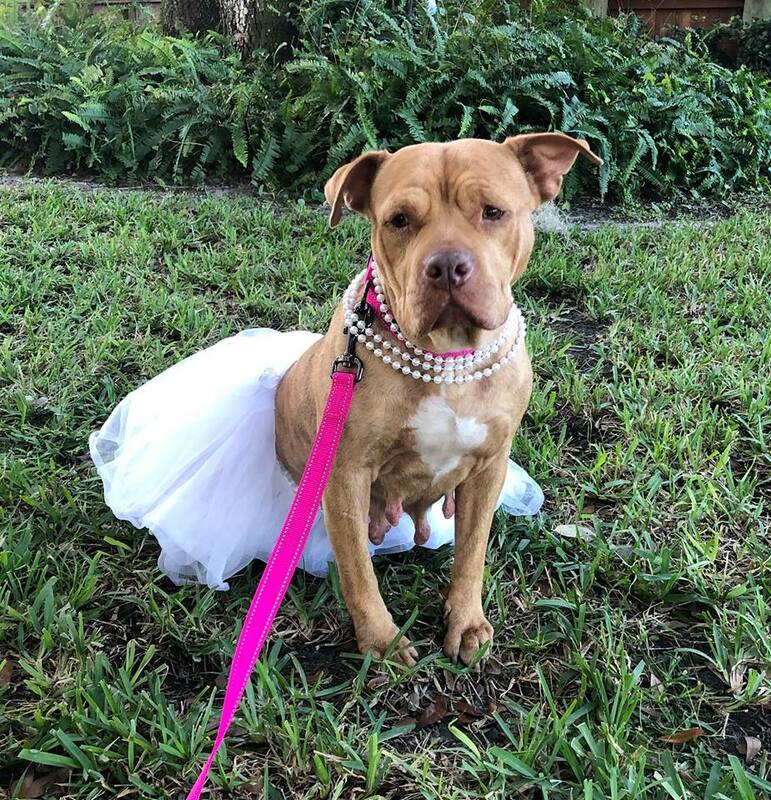 Sol (age 7) wore her favorite pearls, and a white tutu. Murphy (age 10) wore his very best bow-tie and crisp white cuffs. 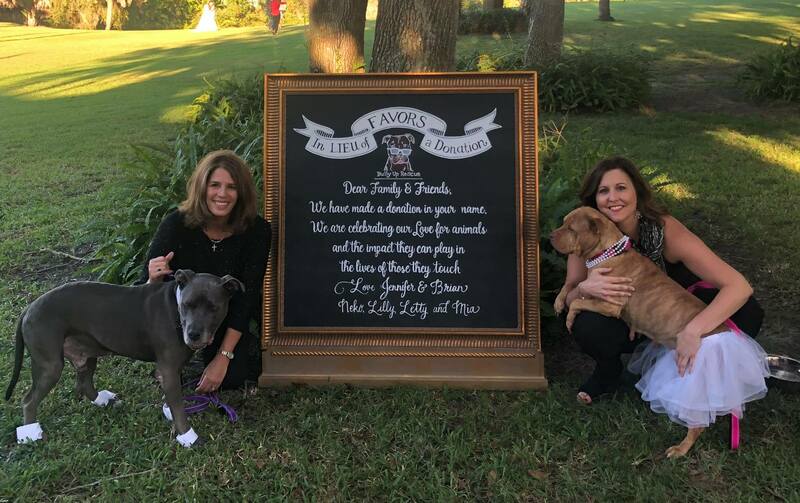 They represented the wonderful organization of Bully Up Rescue, who are on a mission to restore the positive image of the Bully Breeds. 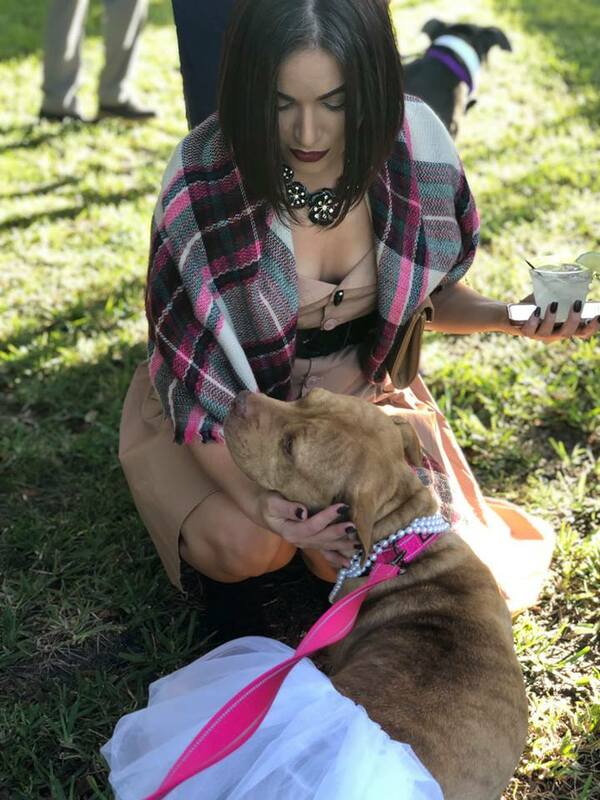 Based in Orlando, Florida, Bully Up Rescue is 100% run by volunteers from the community. 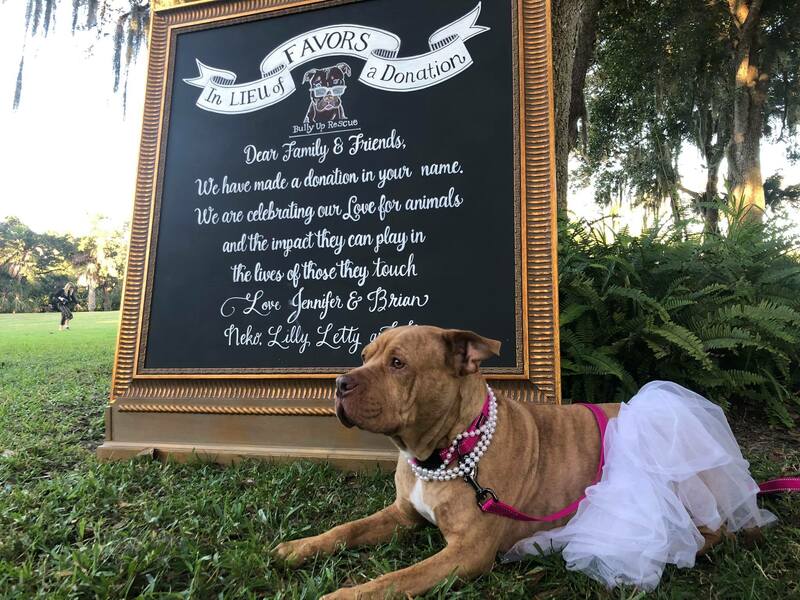 This organization is a foster-based rescue service, helping to place dogs in a “fur”ever home. The organization takes rescues from shelters, cruelty/neglect/abandonment cases, and from owner surrenders. This non-profit organization is also an advocate for safe and responsible bully ownership. Their aim is to restore the positive image of the bully breed. Want to help this great organization succeed in making the community a better place? There are multiple ways to help this Giving Tuesday! 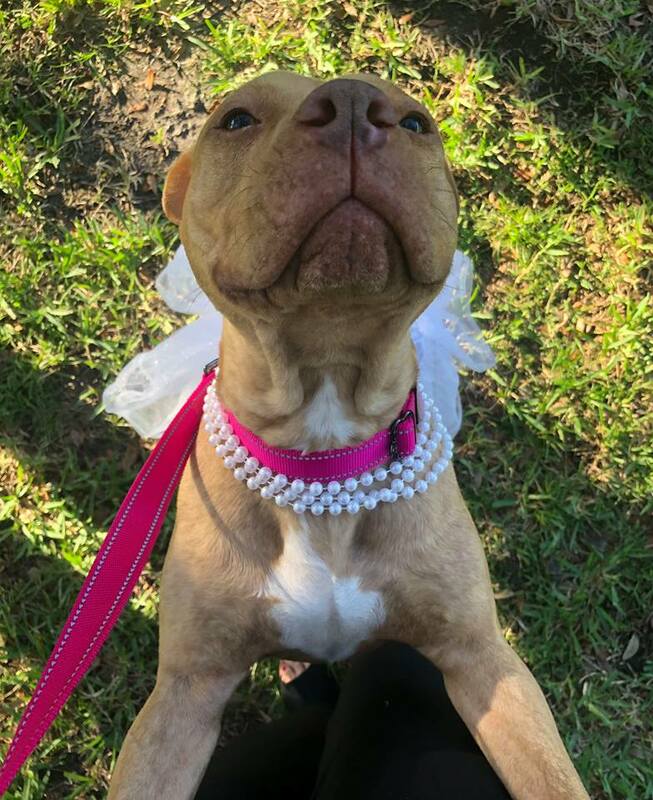 Bully Up Rescue is in search of additional volunteers for dog handling at pack walks, special events (♡Hopefully More Weddings!♡), and fund raisers. They are in need of advocates and transporters. 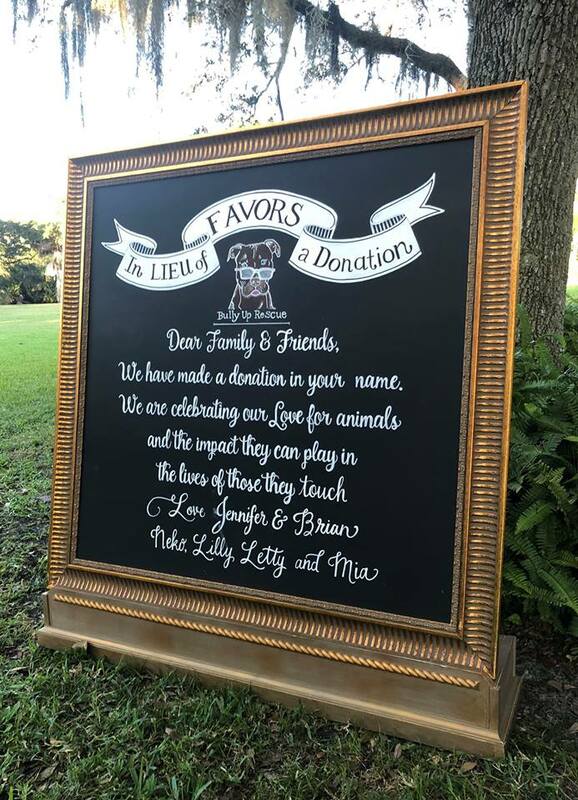 The organization also takes the following donations to help each adorable dog! For more information on this lovable organization, you may visit them on Facebook by clicking here, or contact the Co-Director Renea Janson at bullyuprescuecrew@gmail.com. We would be thrilled to hear back if you become involved with this organization, or similar groups to spread love to our furry friends. Please keep us posted! 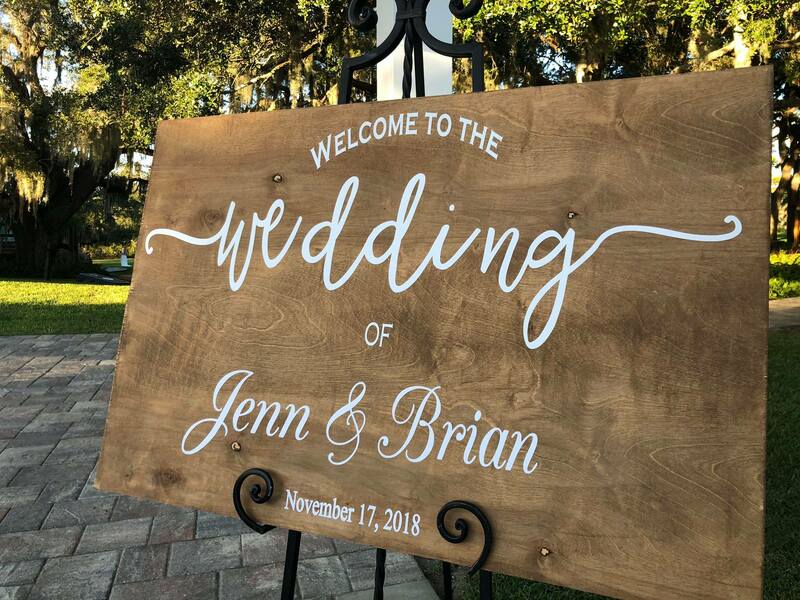 Now, enjoy photos taken from Jenn & Brian’s wedding day by the Bully Up Rescue crew while they were here at Up the Creek Farms! 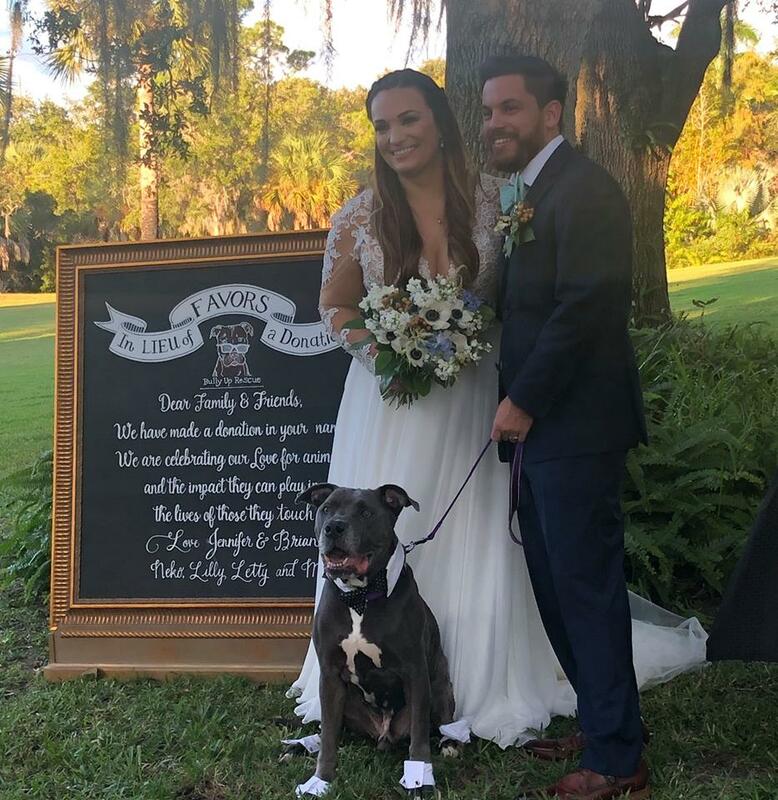 MANY Thank YOUs to Jenn & Brian for connecting Up the Creek Farms with Bully Up Rescue! You gave back to the community in such a lovable way… on your wedding day!